Please tune into the fourth episode of "Axios on HBO" on Sunday at 6:30pm ET to hear from Bill Gates on climate change. Generate will be off until Monday — have a great holiday! But please keep an eye on the Axios stream too. Two countervailing forces that will influence looming OPEC decisions were on prominent display yesterday and today: President Trump's position on Saudi Arabia and prices, which have been largely falling for the past six weeks. Quote"Oil prices getting lower. Great! Like a big Tax Cut for America and the World. Enjoy! $54, was just $82. Thank you to Saudi Arabia, but let’s go lower!" What's happening: Trump caused a stir yesterday when he issued a statement signaling clear U.S. backing for Saudi Arabia despite the murder of journalist Jamal Khashoggi. He stayed in realpolitik mode, later telling reporters that the Saudis have helped keep oil prices down. The big question: How Trump's posture toward the Saudis could affect the early December OPEC meeting. The cartel and allied producers — notably Russia — will weigh production cuts to tighten the market back up. But Trump's soft treatment of the Saudis and push for even lower prices could influence the outcome, though some level of output cuts appears likely. Meanwhile, the 6-week drop in oil prices accelerated Tuesday when Brent and WTI both fell by well over 6% (although they're ticking up somewhat this morning). Overall, both benchmarks have dropped by over a quarter since early October. "The big plunge in oil prices has been painful for the Saudis and a big win for Trump, who had been haranguing OPEC over Twitter. But at the end of the day, if Trump's support turns out to be the crucial act that allows [Crown Prince Mohammed bin Salman, or MBS] to hang onto power, the crown prince will certainly reciprocate." "Tweaking oil prices is the quickest way MBS can show his appreciation. The Saudis may still cut production, but we should look for a lower target price than might have otherwise been the case. (Closer to $70 than $80)." The bottom line: Over at S&P Global Platts, Herman Wang sums things up this way: "Saudi Arabia's desire to placate Trump in the fallout from the killing of journalist Jamal Khashoggi may box in the kingdom, despite [Saudi energy minister Khalid al-] Falih's warnings of a potential oil supply glut in the months ahead that could crash prices further." 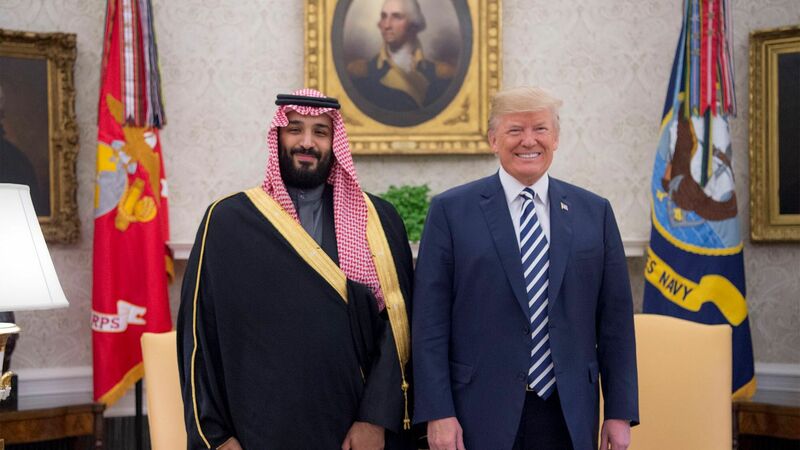 The intrigue: Saudi expert Ellen Wald, in a new Forbes piece, argues that Trump's statement actually shows far less than full-throated support for MBS. She also notes Trump's willingness to consider ideas from Congress, where some members are pushing for a harder line. "Remember, the low oil prices are most important to Saudi Arabia and Russia because it helps them convince and pressure other OPEC and OPEC+ countries to support production cuts and to adhere to them." "The low oil prices are an advantage to Saudi Arabia going into OPEC, regardless of what it feels about the President." What's next: The ride could be bumpy for a while. "[W]e expect oil prices to trade in a wide and volatile range until the OPEC meeting, with the lack of certainty on a possible cut weighing on prices currently," Goldman Sachs analysts said in a note. 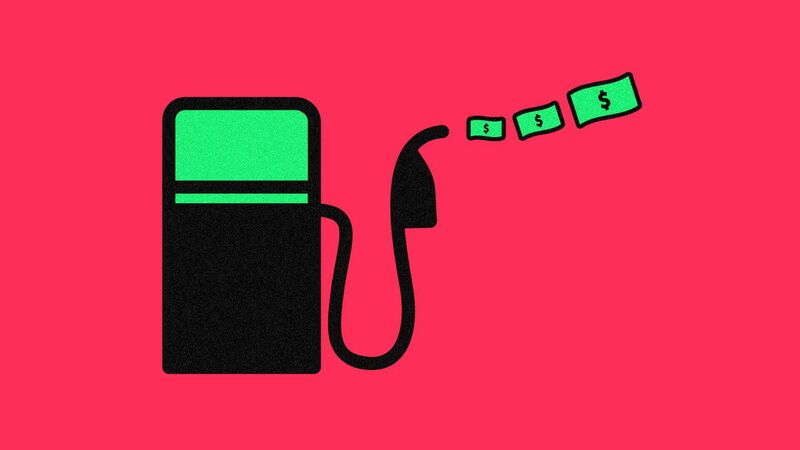 As more electric and autonomous vehicles take to the streets, consumers may soon be able to skip the mundane task of stopping for gas, writes Axios Expert Voices contributor Karthik Kannan. Threat level: The disruption of other types of retail, like big department stores, suggests this transition could push the multi-billion-dollar market of gas stations and convenience stores toward collapse. The big picture: Roughly 150,000 stores sell 80% of the fuel consumed in the U.S., as well as $200 billion worth of food and merchandise, according to the National Association of Convenience Stores. Yet most stores have invested little in alternative methods to deliver goods or fuel to their customers, especially as cars shift from gas to electricity or even hydrogen fuel cells. Shell has piloted a fuel-delivery service that refills cars while passengers are at home, at the office or around town. If F-16s can be refueled midair, we ought to be able to adapt this technology to vehicles on the road. Kannan is the Thomas Howatt Chaired Professor in Management at Purdue University and director of the Business Information and Analytics Center. Driving the news: Utility Dive obtained a video of remarks Bernard McNamee made in February while working for the conservative Texas Public Policy Foundation. They report that McNamee, a former DOE official, "sharply criticized renewable energy and environmental groups while calling for a 'unified campaign' to support fossil fuels." "McNamee ... said fossil fuels are 'key to our way of life,' but renewable energy 'screws up the whole physics of the grid,'" their story notes. E&E News reports that the comments are already "roiling opposition" to the nomination. However, with the GOP expanding their Senate majority in the midterm elections, it's not clear whether the remarks present a serious hurdle. FedEx: The package delivery giant said it's adding 1,000 electric delivery vans to its fleet made by the company Chanje. FedEx is buying 100 directly and leasing 900 from Ryder, and all of them will operate in California and can haul up to 6,000 pounds. Why it matters: Corporate and government procurement is an important driver of electric vehicle adoption. "The EVs can travel more than 150 miles when fully charged and have the potential to help FedEx save two thousand gallons of fuel while avoiding 20 tons of emissions per vehicle each year," FedEx said. Details: Via TechCrunch, "Chanje’s vans are being manufactured by FDG in Hangzhou, China; the startup’s headquarters are in Los Angeles and has some operations in Kansas City." They eventually plan to open a U.S. plant. Fehrenbacher: "I feel like scooters have become a strange target, particularly in San Francisco, for everything that’s wrong with the city, like gentrification, and people are overlooking the sustainability aspect. Does Lime have an opportunity to rewrite that negative messaging with sustainability?" Savage: "We can absolutely do a better job in telling the pollution reduction story, and we need to. I think that’s something that over time, cities are going to want to tell and we need to tell for sure. San Francisco has certainly been an anomaly across all of the markets." British Columbia: Via the Vancouver Sun, "All new light-duty cars and trucks sold in B.C. will be propelled by zero-emission technology by 2040, Premier John Horgan announced Tuesday." Although Washington state’s proposed carbon tax failed at the ballot box, carbon pricing remains one of the best policy solutions to mitigate the effects of climate changes as the window to keep global warming below 1.5°C continues to narrow, writes Axios Expert Voices contributor Chris Busch. The big picture: There are stark trade-offs to both a carbon tax, under which companies pay for each ton they emit, and a cap-and-trade system, which requires them to buy permits for emissions. However, a hybrid model could be the sweet spot between practical politics and effective policy. A carbon tax, often favored by conservatives because it is easier for businesses to plan for, nevertheless carries heavy political risk. Opponents outspent supporters two-to-one in Washington state, reflecting the inherent difficulty of passing new taxes and the added force of lobbying by the fossil fuel industry. A cap-and-trade approach, generally preferred by national environmental groups, presents high cost uncertainty for politicians: Too few permits could lead to high prices and economic disruptions. Policymakers typically err on the side of leniency, creating an oversupply of permits at insufficient prices and prompting industry to criticize any adjustments as unfair changes to market rules. A hybrid approach, on the other hand, could reduce emissions through declining caps while ruling out price extremes via ceilings and floors on permit prices. Should permit prices reach the ceiling, the government would bring down prices by auctioning off more permits. Meanwhile, a price floor ensures stable prices even if faster-than-expected emission reductions produce a surplus of permits. A price floor of $40 per ton, as proposed by Republicans James Baker and George Shultz, would be a good starting point. (The World Bank recommends a carbon price of $40-$80 per ton by 2020). Read more of the full piece in the Axios stream. Busch is the director of research at Energy Innovation. 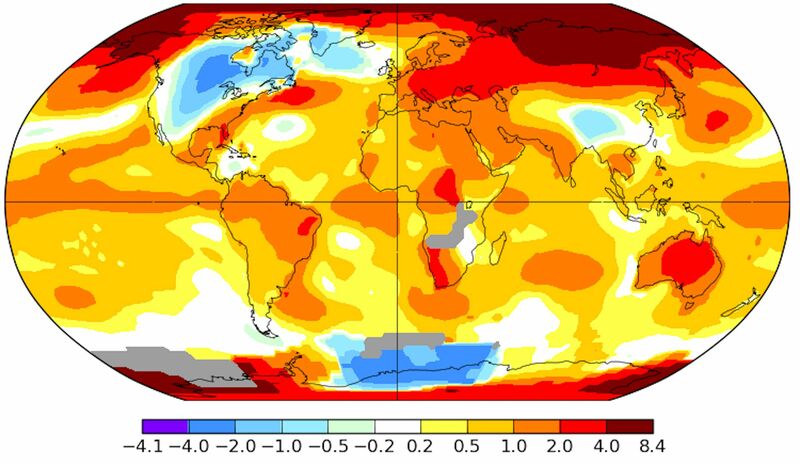 Earth just had its second-warmest October on record, according to NOAA data released Tuesday. NASA reported the same finding last week, Axios' Andrew Freedman reports.